Travelling from Bangkok to Phuket is relatively easy and you can get there either by Plane, Car/Taxi, Bus/Minibus or a combination of Train and Bus. If your comfortable with doing more flying and cost is not a problem then taking a flight is by far the best way to reach the island of Phuket, however driving or taking a bus or train also have their advantages. Here we look at the different ways to get to Phuket and help you decide on the best way that suits you on your journey. Hey there, just a quick note. There are some affiliate links in this post, meaning, at no additional cost to you, we will receive a commission if you book or make a purchase through one our affiliate links. This has no impact on our content, we simply review and recommend helpful and useful things we love. Thank you for supporting our website in this way! 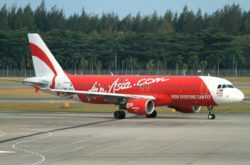 Going by plane is by far the quickest and convenient and with more and more budget airlines flying to Phuket the prices for flights are getting more and more affordable. Cheap Phuket flights can now be picked up for as little as 800-900 THB if your flexible with your flight time and date. Flights to Phuket depart from both Suvarnabhumi International Airport (BKK) and Don Mueang International Airport (DMK), with Thai and Bangkok Airways based at BKK and other budget airlines based at DMK. 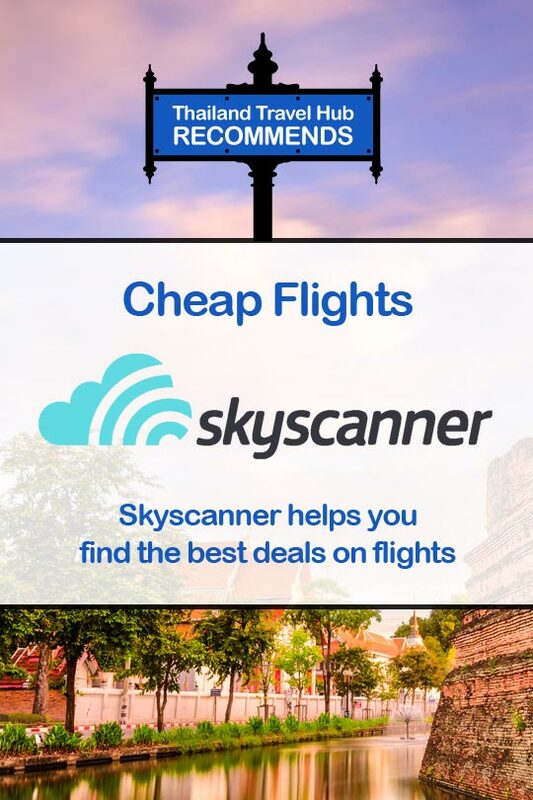 Each airline offers a secure, easy-to-use online booking system or you can use a flight search engine such as Skyscanner to check for the best latest deals. 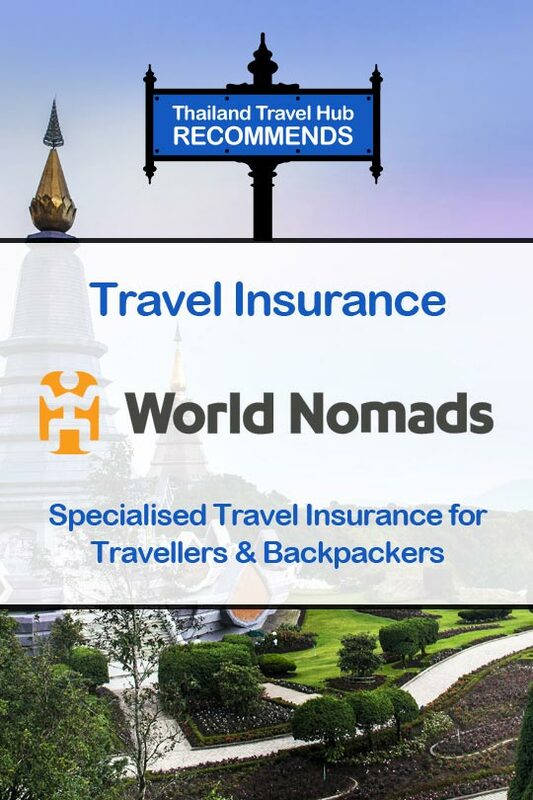 When booking your flight online, consider your location in Bangkok and book a flight with the Airline most suitable and convenient for you to depart from. Airlines operating out of Suvarnabhumi International Airport are Bangkok Airways, Thai Airways, Thai Smile, Hahn Air Systems and Thai Vietjet Air. TIP: As most budget airlines operate from Don Mueang International Airport, flights from there do tend to be a little cheaper. Taking the bus from Bangkok to Phuket is also a very popular choice of transport especially for Thai’s, long term travellers and backpackers. There are plenty of options available from over night VIP Busses, Express Busses and Mini Busses. Busses to Phuket depart from both the Southern Bus Terminal (Sai Mai Tai) and from Khao San Road. 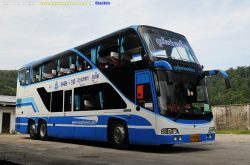 We recommend to buy Bus tickets online at 12go.asia or buy directly from the from the Southern Bus Terminal and take the bus from there, rather than using the Khao San Service from a tout or agent in Khao San Road. Using a tout or agent to get your bus ticket can sometimes result in you travelling on a bus which is not what you were expecting or promised, so be careful and if you do make sure they know exactly what you want. Booking by yourself will ensure you get the correct standard of bus and for the cheapest price. The Southern Bus Terminal is located at 8 Borommaratchachonnani Road, Khwaeng Chim Phli, Khet Taling Chan, Krung Thep Maha Nakhon 10170, which is in Thonburi district on the west side of the Chao Phraya River. The bus terminal is not served by the BTS or MRT but is easily accessible by taxi or motorbike taxi. Expect to pay around 150 THB from Khao San and around 250-300 THB if your staying in the Sukhumvit area. From the Southern Bus Terminal in Bangkok you can take the Bus Express Service, Phuket Travel Service or the Phuket Central Service. Here are the departure times for each service below. Getting to Phuket by Train is not possible, however you can get the train from Bangkok’s Hualampong Train Station to Surat Thani Train Station which is located in Thakham city on the east bank of the Tapi River in the Phun Phin district, just 14km east of Surat Thani. Train tickets cost around 1058 THB for a 2nd Class Sleeper AC. From there you can get the Phantip 1970 bus to Phuket, which drops you off at the Phuket Bus Station 2 BKS Terminal. The Bus ticket costs around 250 THB. 12Go is a fantastic online booking service for Trains, Busses, Ferry’s and Flights. Which airports have flights going from Bangkok to Phuket? What airlines fly from Bangkok to Phuket? 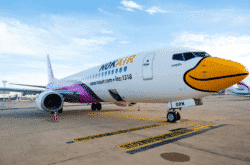 Various airlines fly from Bangkok (BKK and DMK) to Phuket (HKT) every day, which include Nok Air, Thai Lion, Bangkok Airways, Thai AirAsia, Hahn Air Systems, Thai Vietjet Air, Thai Airways, Thai Smile. 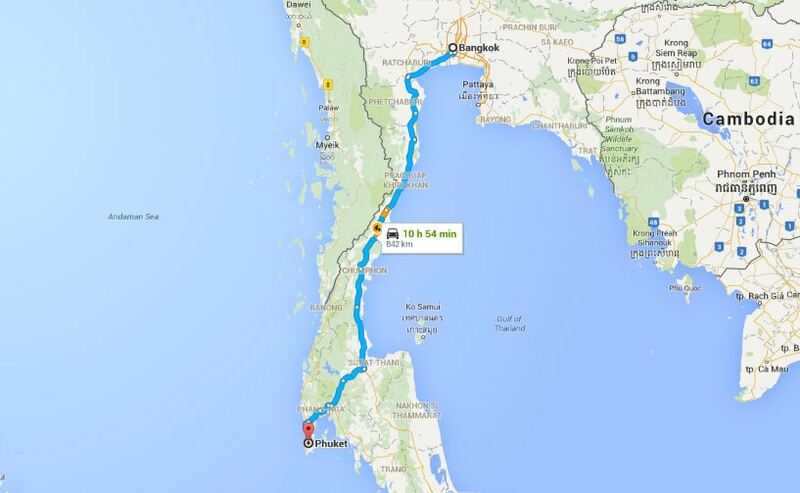 How far away is Bangkok to Phuket? How much does it cost for a flight ticket from Bangkok to Phuket? The cost of a flight does depend on the airline and also the time and day you wish to travel. If you are flexible try searching online for the cheapest flight by staying away from Fridays and weekends and try to fly late in the evening or early in the morning if you want a cheaper flight. Flights can be purchased for under 1000 THB, but if you are wanting to fly at peak times expect to pay around 1200-2800 THB. How to get from Bangkok to Phuket by ferry? You cant get a ferry to Phuket from Bangkok, and you really wouldn’t want to. However if you also plan to visit Krabi on your trip you may consider taking a flight to Krabi then taking the Ferry from either Ao Nang (Nopparat Thara Pier) departing at 3 pm or Railay (Railay Bay) departing at 3.15 pm to Phuket. How to get from Bangkok to Phuket? 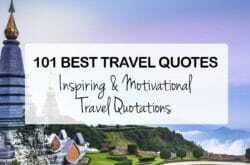 The best ways to travel to Phuket from Bangkok is by Plane, Bus, Minibus and Car. Travelling by plane is by far the most quickest and convenient. Travelling by VIP bus takes a long time (around 12 hours) but it is considerably cheaper and you can take the overnight bus. Travelling by car also takes a long time (around 10 to 11 hours) and is more expensive but if you can share the cost of fuel it does make for a great road trip, with plenty of amazing scenery and places to stop along the way. 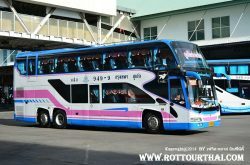 How to travel from Bangkok to Phuket by bus? Busses to Phuket operate from the Southern Bus Terminal in Bangkok or from Khao San Road. Express or VIP busses are available. Over night VIP Busses are recommended. How long does it take from Bangkok to Phuket by bus? The Bus journey roughly takes 12 hours from Bangkok To Phuket. 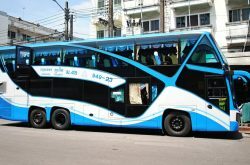 How much is a bus ticket from Bangkok to Phuket? An Express Bus journey costs around 660 THB and a VIP Bus journey costs about 998 THB. How long does it take from Bangkok to Phuket by train? It takes 11 hours and 40 minutes (roughly 640 km) from Hua Lamphong Train Station in Bangkok to reach Surat Thani Railway Station, from there you will need to take the Phantip 1970 bus which is a further 4 hours (roughly 220 km). How far is Bangkok to Phuket by plane? The 840.6 km distance to Phuket is covered in 1 hour and 20 minutes on a non stop flight from Bangkok. How long is a flight from Bangkok to Phuket? It takes 1 hour and 20 minutes to reach Phuket on a non stop flight from Bangkok. How long does it take to get from Bangkok to Phuket? © 2018 Thailand Travel Hub. All Rights Reserved. 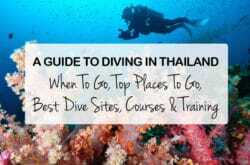 Register for a Thailand travel Hub account. Travellers - Add things to do, places to go, tours and hotels to your favourites list. 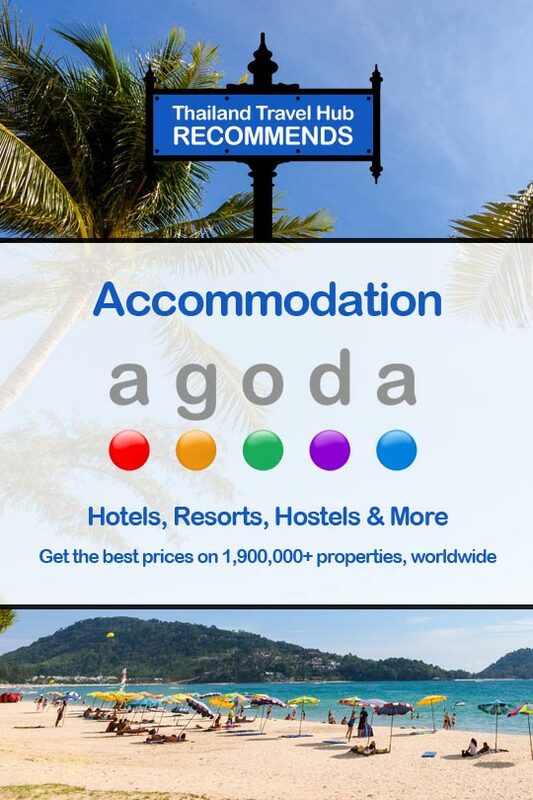 Advertisers - Add and manage hotel, tours, business listings and profile.